In the world of vector graphics, the open source world has one primary answer for proprietary counterparts that work with this kind of data. That tool would be Inkscape. Inkscape is an incredibly powerful vector graphics program that you can use to draw scaleable illustrations or edit vector artwork that other people have created. 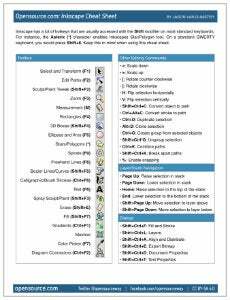 Download our free cheat sheet to start using Inkscape today.